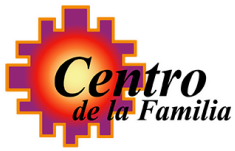 Centro de la Familia (Centro) began providing culturally competent domestic violence counseling and advocacy services in 1996 at the request of Colorado Springs’ Center for the Prevention of Domestic Violence, now known as TESSA. At that time, there was a lack of bilingual therapists in El Paso County, and this services gap remains an issue for Colorado Springs and the surrounding areas. Centro has played a vital role in reducing this gap over the past 21 years, expanding services to include child play therapy, support groups, evaluations, holistic advocacy, and parenting education. Today, Centro is the only services agency in El Paso County dedicated to providing “one-stop” culturally competent services consisting of counseling, advocacy, victim support, and parenting education to the Hispanic/Latino population. As Centro serves over 1,600 individuals annually, its mission is to serve as a cultural anchor and assist families in leading safe and productive lives. El Paso County’s need for Centro’s services will continue to grow, as evidenced by an increasing Hispanic/Latino population. According to the U.S. Census Bureau, in 2000, El Paso County’s Hispanic/Latino population was 58,401, as compared to an estimated 100,688 in 2012, representing a 72.4% increase. The actual percentage of this population is more likely to be 18 to 20% higher due to the number of undocumented (i.e., unaccounted for) Hispanics and Latinos residing in El Paso County. Ms. Caraveo graduated from Bowie State University/University of Maryland European Division with a Master’s degree in Counseling Psychology. She is a Nationally Certified Counselor (NCC) and a Licensed Professional Counselor. Ms. Caraveo has extensive experience working with military families, having lived and worked in military communities, domestic and international, for nearly 25 years. She is fluent in English and Spanish, and has been with the agency since 2012. Ms. Roman is Centro de la Familia’s receptionist and has been with the agency since 2015.